The perfect bulletin board as we reach the end or beginning of a new year! 1. 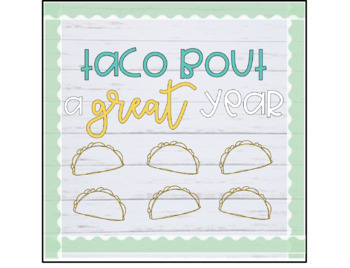 "Taco Bout a Great Year"
2. 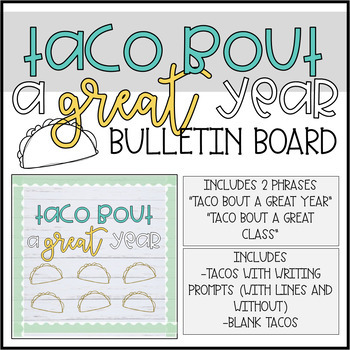 "Taco Bout a Great Class"
All you need to do is print the letters on colored paper, cut them out, laminate for extra sturdiness, and post on your bulletin board! You can either print the tacos on white paper and have students color them in, or print them on colored paper and just have students write on them. Enjoy this bulletin board and be on the lookout for more coming soon!